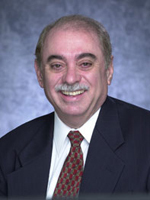 Dr. Louis A. Martin-Vega is the Dean of Engineering at North Carolina State University. With more than 9,100 students, 750 faculty and staff, and $154 million in annual research expenditures, NC State’s College of Engineering is internationally recognized for the excellence of its research, education and outreach programs. His prior experience includes serving as Acting Head of the Engineering Directorate and Director of the Division of Design, Manufacturing and Industrial Innovation (DMII) at the National Science Foundation as well as Chair of the Department of Industrial and Manufacturing Systems Engineering at Lehigh University. He received his Ph.D. in Industrial and Systems Engineering from the University of Florida.